My preparation for the relay was different from planned when I hurt my heel during a fast paced workout early Friday morning. In the evening, it was not possible to step on my foot and I took the decision to run only a couple hours before the start of the relay as I tried 5 minutes of running. Because of this mishap, I did not have time to stress about my task, but just trusted that I can dig up the routine from previously well-executed relays. Noticed at dawn that the legs are light and the tights are compressing my muscles smoothly. I need a slightly stressful feeling at the last minutes before change-over to get the adrenaline kicking in. Running relay is for me the core of orienteering, and at it’s best when you get to run against the best in the fight for the win. This time my starting position was 25 seconds behind a pack with Tampereen Pyrintö, OK Linné and Södertälje-Nykvarn, meaning that I had to really sprint up the first hill to catch up. Good that the body was well warmed up because my chase was on until we got up on the plateau. The first leg was long meaning the pace was high and orienteering accuracy secondary. On the next control legs, I took some own variants, but for the team goal there is really no point in trying to shake off these competitors. Ralph Street (SNO) did most of the navigation while I mostly just came along. After catching up with Kalevan Rasti, KooVee & Lillomarka, who started a few minutes earlier, we pushed the pace, as it appeared that the last two were barely hanging on. I tried to convince Hannu Airila (KR) to increase the tempo with me to get away but he wasn’t keen. I might have also thrown in some Tiki talk about some runners in the group. The pack held together without any initiative to break away. 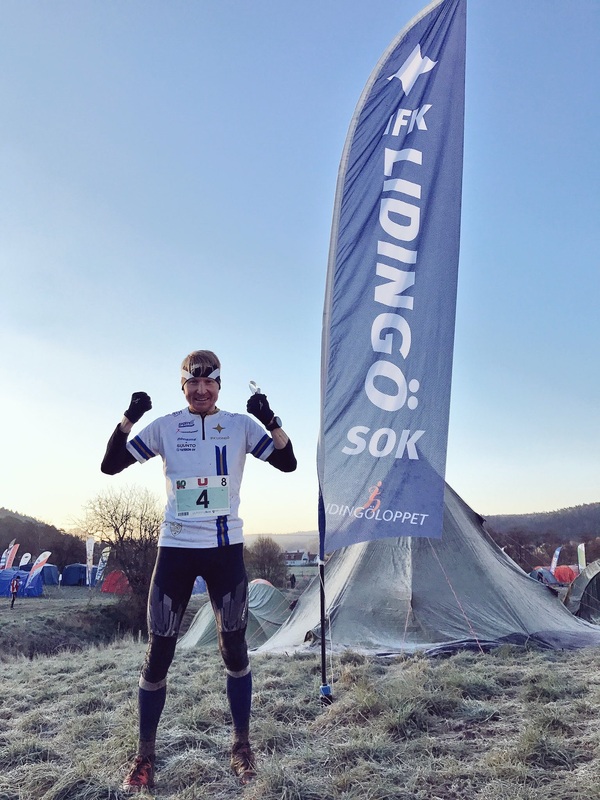 It’s really not worth chancing anything as 10mila is all about the team performance – physically I felt comfortable the whole way. In any case, I enjoy running with a clear task. Unfortunately it was muddy and rocky down towards the last control so younger guns shoot past me, but I took care of my task as we were still in the fight for the 2nd place. This is the kind of feeling I am striving for! 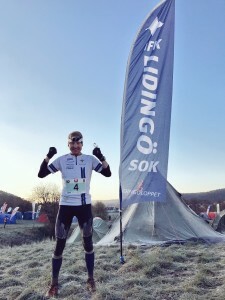 Following IFK Lidingö SOK’s 8th place at 10mila I finished 6th at the Huippuliiga Sprint in Nikkilä. We also had our World Champs test races, but I caught some virus and spent the week in Estonia curing my disease instead of racing. Without results in the test races I wasn’t selected for the individual World Cup in Finland and only ran the World Cup Sprint relay in Turku. I was the best Finnish male there (as our cheering team in the pic finished 5th) and have been the fastest Finnish sprinter at the last two World Champs, but those seemed to be irrelevant facts when selecting the WOC 2017 team. Due to a conservative start to the season I wasn’t able to get enough speed out of my body to convince the coaches. Running for my country is where I’m usually at my best, but this summer I’ll have to find that joy somewhere else… and come back stronger! Good luck to the Finnish team at WOC 2017!